Full disclosure: This is our very first motorhome and we don’t have much experience camping. The only thing we can compare our buying experience against is our experience building a house or buying a new car. It didn’t take long to find a motorhome that we both liked. We based our decision entirely on the layout and that we can use the motor home year-round to work from the road. We decided on a 2016 Thor Gemini 23tr. 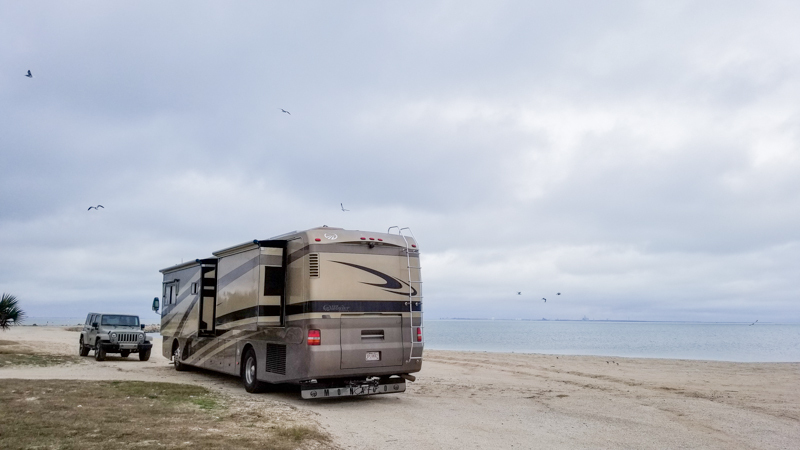 Even though we’ve had many issues with our Thor Gemini, we are enjoying owning a motor home and the freedom it gives us. 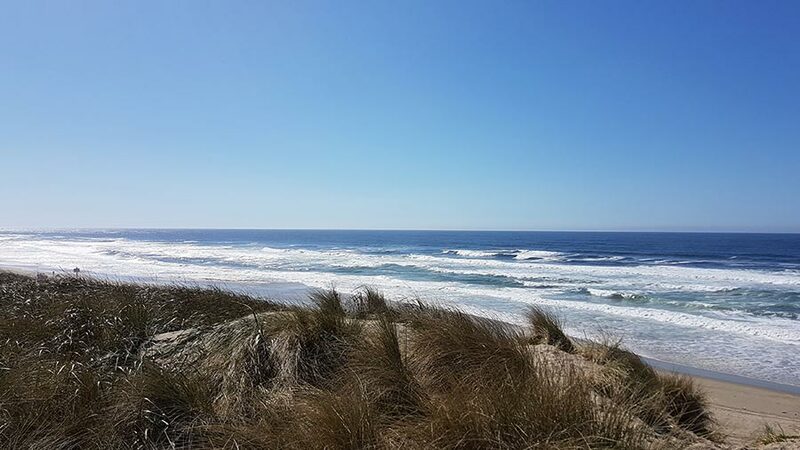 The reason why we purchased a motorhome was to allow us to get out of the house on weekend – even though we still both work on weekends, now we work from the motorhome or the campfire. Hopefully, this post helps some people with their purchasing decision. Maybe this post helps ask the right questions. I will be updating the post if there are updates to share. I will date and color code all updates. 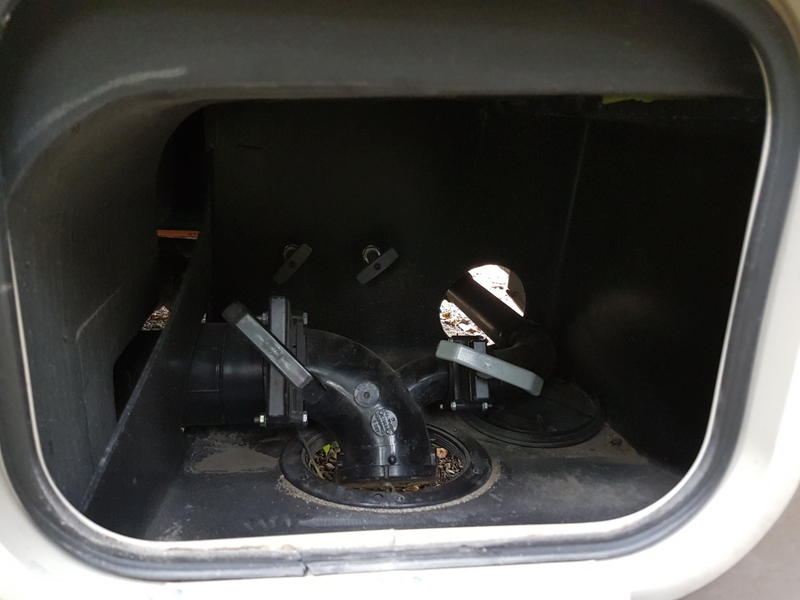 Here are all the issues we encountered when we got home from picking up our 2016 Thor Gemini 23tr; other than the sewage connection problem. We expected a few issues, especially after taking it on the road, but not this many issues right after taking delivery. Fraserway RV drove the unit more than 3,000 km to pick it up from Thor. 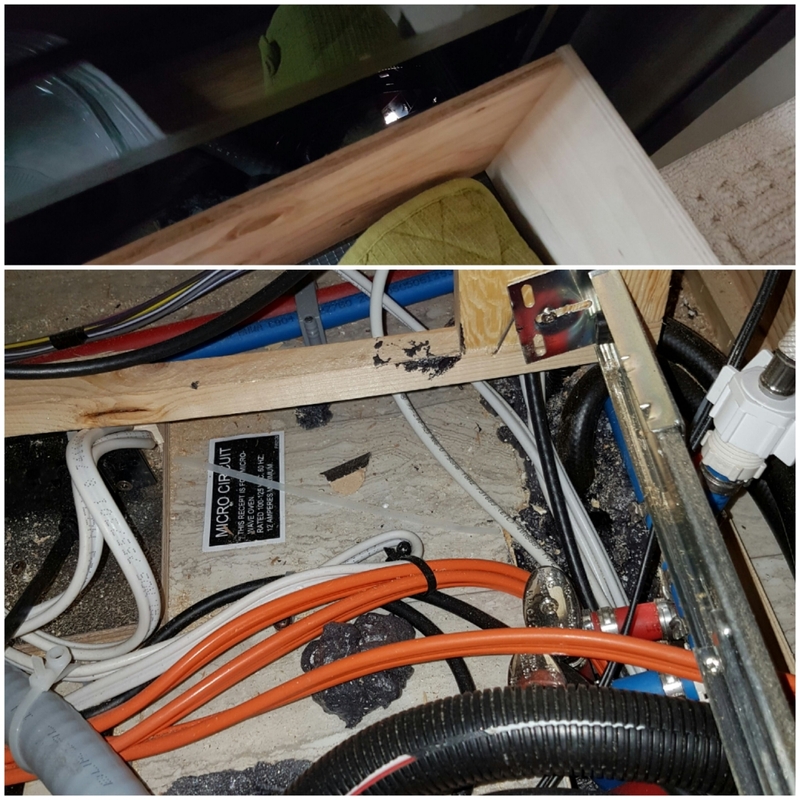 It could be that all the issues arose during that drive in which case we would have thought Fraserway RV would catch and fix most of them before delivery. We tested the hot water when we took possession of our Thor Gemini 23tr from Fraserway RV, and it seemed to work. A few hours later when we tried again, it didn’t. It hasn’t worked since. We’ve tried everything. Fraserway RV had a look at it too, but couldn’t fix it at that time. Let’s hope Fraserway RV will be able to fix it when we bring it in for service. First time dumping black and gray water didn’t work out well because we couldn’t connect the sewage hose to the Thor Gemini 23tr. 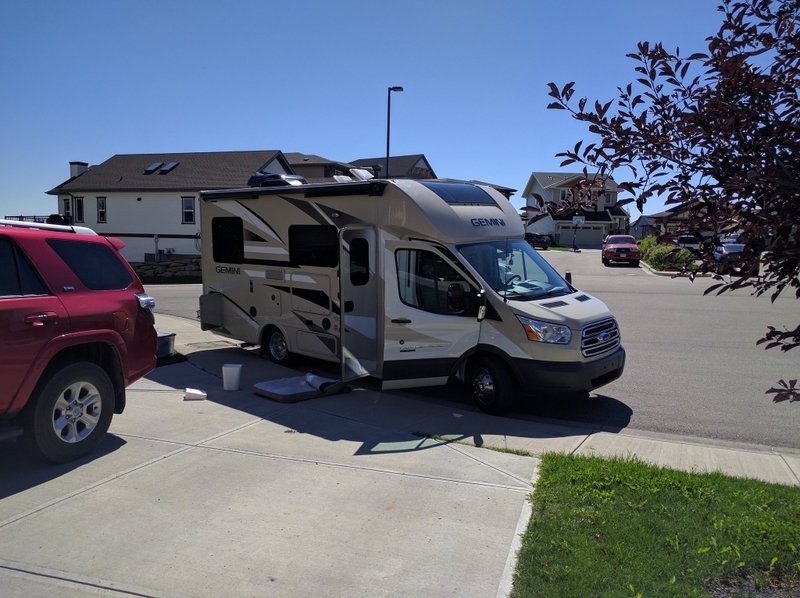 We called Fraserway RV, and the sales manager (Darin) hung up on me after I said: You are going to have to be very patient with me because I’m really frustrated. The general manager, Scott Vanderwerff, replied to my Google Review saying that Darin hung up on me because of “harsh comments shared toward him and the dealership” and that Darin “felt that the best way to move your request forward was to refer you the service department so they could assist with your inquiry”. My wife was there, I simply asked for him to be patient because I am really frustrated. Darin’s “referring me to the service department” was hanging up on me. Booo for really bad customer service. When we called back, we got a technician on the line, Al, and he was amazing. Very patient and understanding. I used some muscle to move the pipe downwards. I tried moving it before but was worried breaking it. We noticed that the entire assembly holding the blinds beside the bed was loose during our orientation. Fraserway RV noted it as a warranty item. Because it was just loose, we thought it could wait. About 50 km into our first trip the assembly came crashing down. We noticed a piece of plastic fabric that seems to be detaching. It is behind the right rear tires. Looking at the patch, it feels like it was put there to keep the wires up and protected. Not sure what the wires are for. It seems a bit flimsy and low quality to slap a patch of whatever-that-is on there. This was one of the first things we noticed during the orientation of the Thor Gemini 23tr. 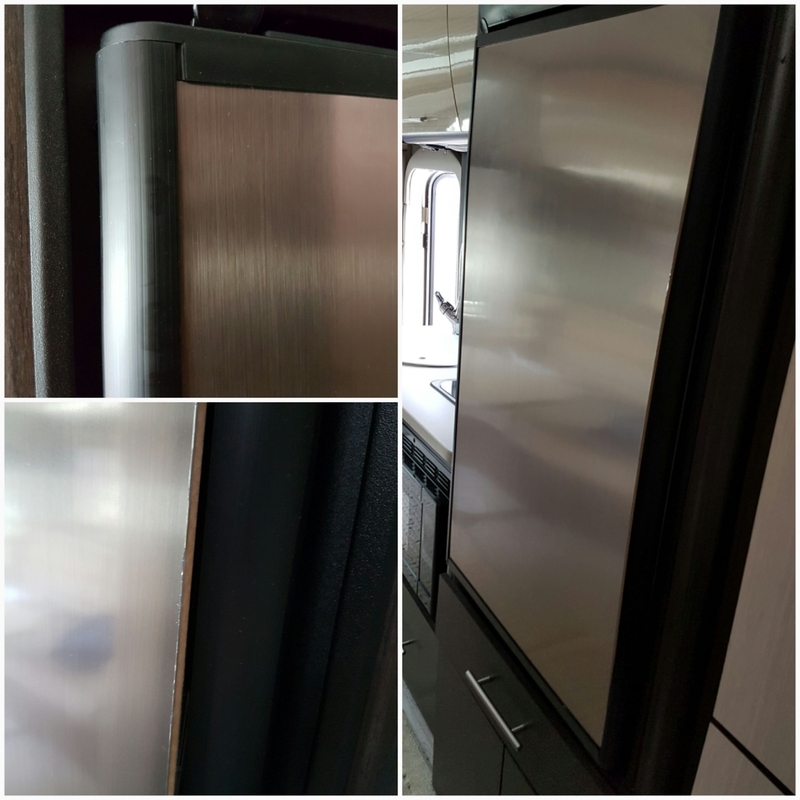 The stainless steel beauty panel is detaching from the fridge. It was a bit surprising that Fraserway RV didn’t find this before we did. Isn’t stainless steel supposed to be a thin panel of real stainless steel? We noticed that the hinges for the cupboard above the sink are loose after our 5 km drive home from Fraserway RV. It looks like it will be a quick fix, but I don’t want to accidentally break something and void the warranty. 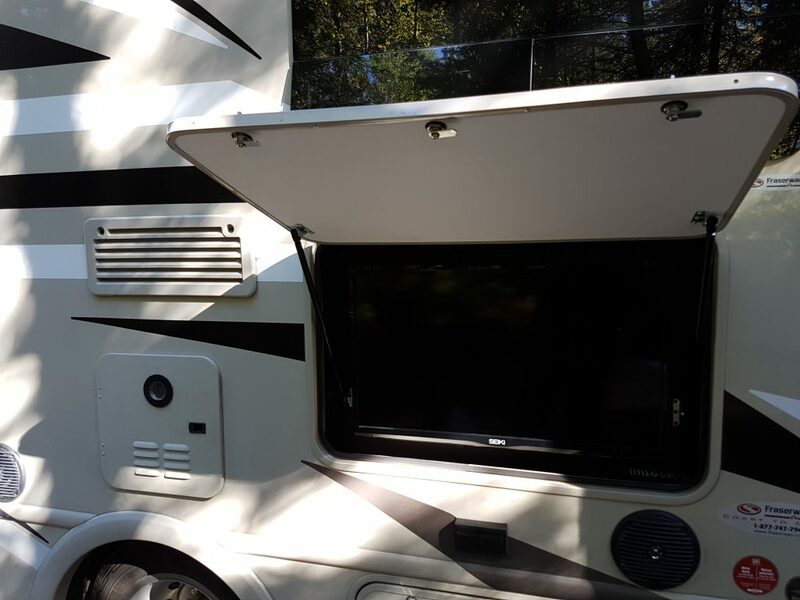 The outside TV worked when we first saw the Thor Gemini 23 at Fraserway RV. We got all set up to watch one of the many Disney DVDs my wife ordered. Unfortunately, the outside TV doesn’t seem to get power. I checked the breakers and fuses, nothing. The drawers in the back don’t snap in, so they pull open when we slow down and slam shut when we accelerate. We found this when we took possession. Let’s hope it doesn’t wreck the drawers until Fraserway RV fixes the problem. We found two pretty big holes in our Thor Gemini 23tr. One is right under the convection oven, below the drawer. My wife was wondering why it was so cold in the motorhome, then she noticed light coming through the hole. There is another hole, a gap about 1/2 inch, between the chassis and the back. A friend told us that these holes will let mice in, and that we should seal them. If Fraserway RV doesn’t properly fix these, I’ll see if a piece of insulation panel will fit. 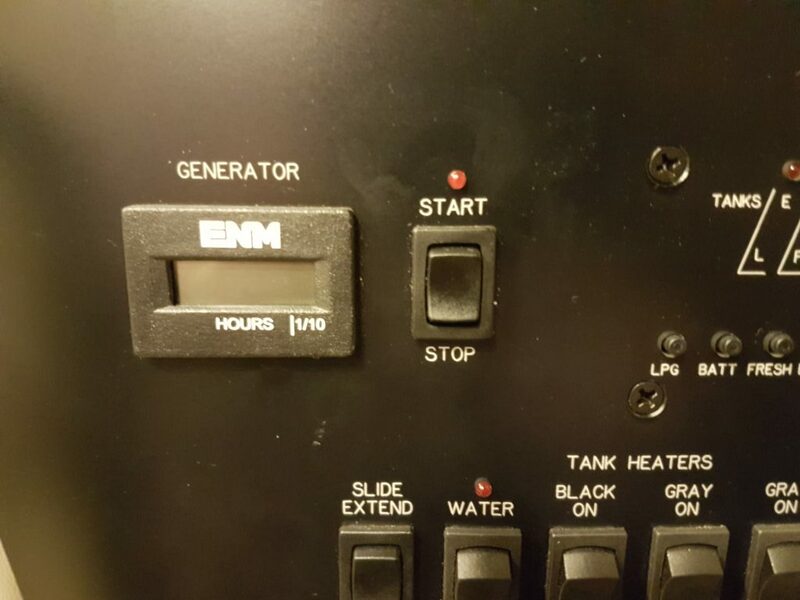 The panel with the Emergency Start button on the dashboard in the front cab is broken. It doesn’t clip in and bounces up and down while driving. Sometimes it makes an annoying sound and sometimes it doesn’t. We found this during our walkthrough when we picked up our Thor Gemini 23tr from Fraserway RV. Both blinds in the main living area don’t roll up. They require manual rolling up which isn’t that easy. The blinds in the back of the Thor Gemini 23tr roll up without a problem. 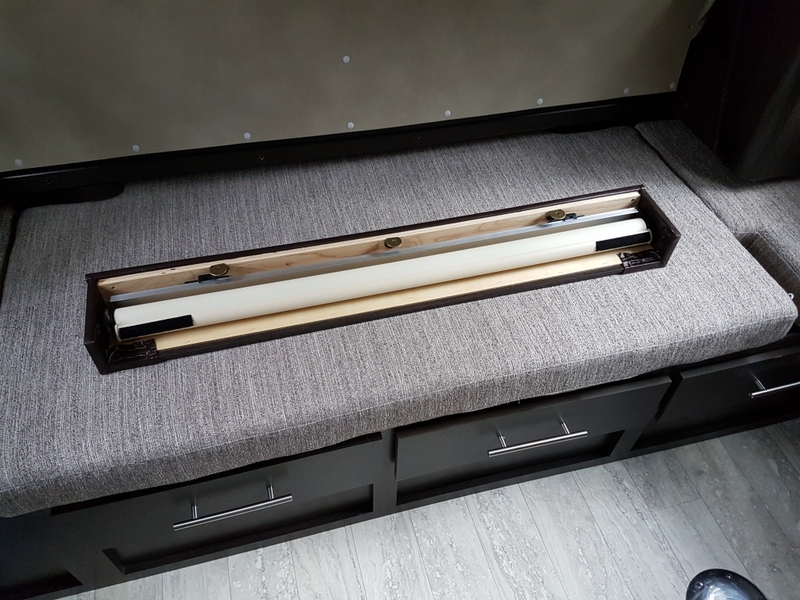 If Fraserway RV can’t fix the problem, I will look at replacing the blinds altogether – but I much rather not. One set of power outlets isn’t working. 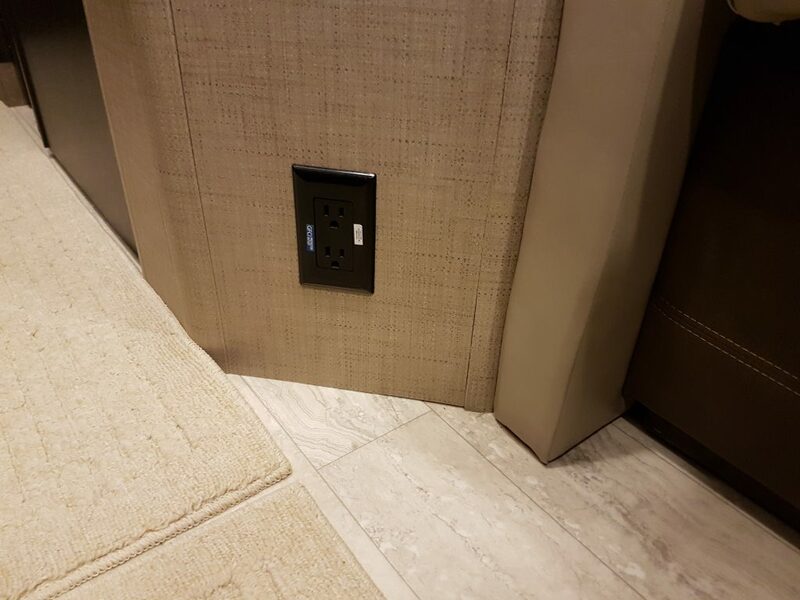 We thought it was the laptop charger, until we tried another charger in the outlet. No power. 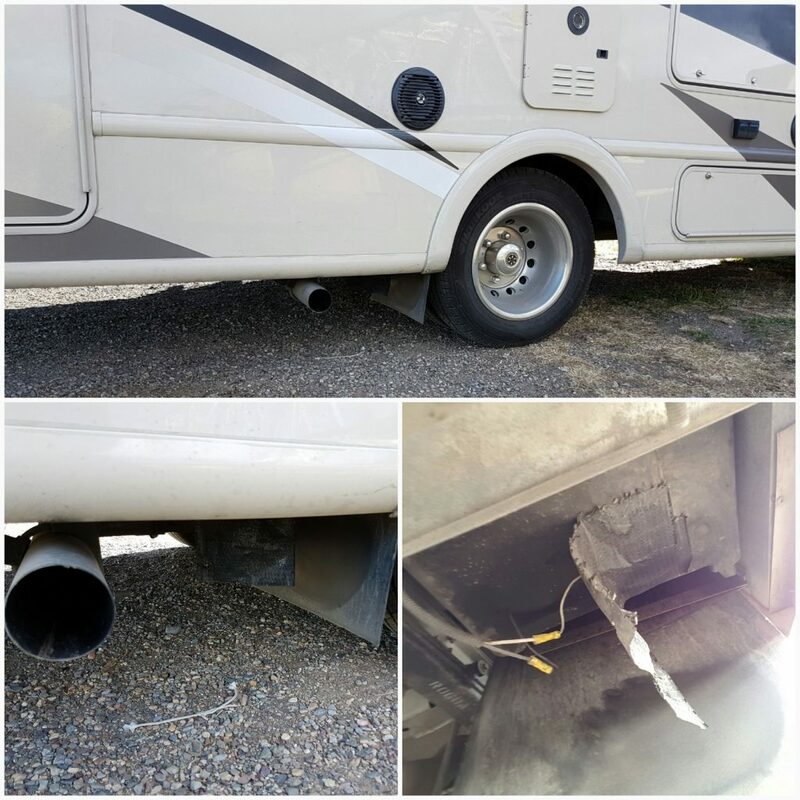 The strangest thing happened when we dropped off our Gemini 23tr at Fraserway RV on Sep 27. I noticed strange behavior when signaling; sometimes it would seemingly skip a click. Then the windshield wiper twitched. I thought I might have left them on, so I tried to turn them off, realizing they are already off. Anyhow, when we got to Fraserway RV, I captured some of the strangeness on video. Thankfully I was able to show Fraserway RV when dropping it off for warranty service. It’s a diesel generator… no it’s not. We were told the generator is a diesel generator, when in fact, it is a LP (Liquefied Petroleum) generator. 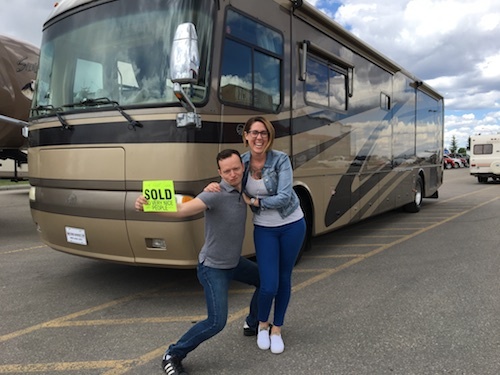 This isn’t a huge deal because we figured it out after 30 minutes, but it’s another example how little the Fraserway RV sales and service team know about the unit they sold us. I believe the generator is a 3.6kw Cummins ONAN LP generator. The generator is pretty quiet and seems really efficient. We are very happy with it. Watch TV and work from anywhere… no we can’t. We were told that we could watch TV and run our laptops even without hook-ups. Being brand new to this, we didn’t know that this requires an inverter. It would have been amazing if Fraserway RV would have been upfront about this, we would have gotten an inverter installed. Now I need to find someone competent and spend a whole bunch of money to get this done. The gray handles are safety valves for black and gray water… no they are not. We were told that the gray levers were safety valves for the gray and black water. This isn’t the case; the gray levers are for the left and right gray water tanks. The black water tank only has one lever, the black one. We drove around with a full gray water tank without knowing it was full until it overflowed. The solar panel controller will be installed by the other controls… no it wasn’t. We asked if the unit comes with solar panels, and we were told we could purchase a package. 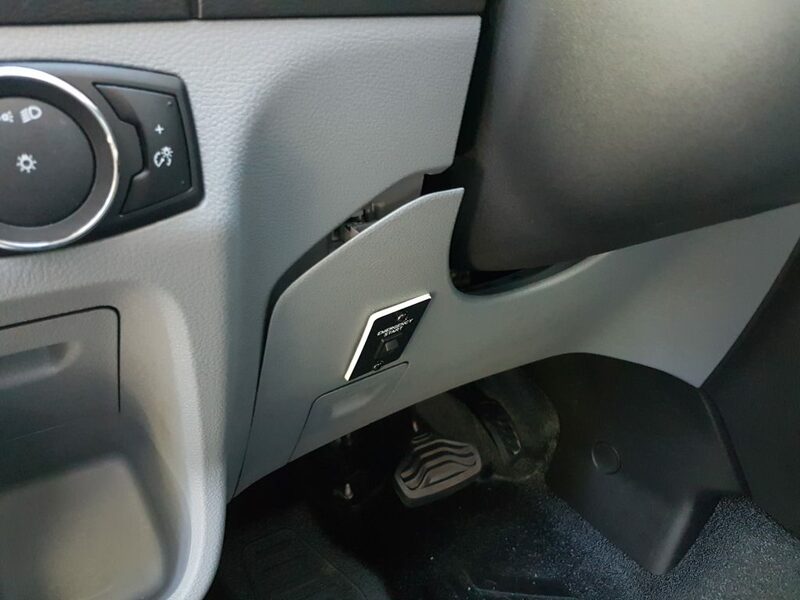 We were also told that the controller would be installed under the existing panel, so we can see what’s happening. 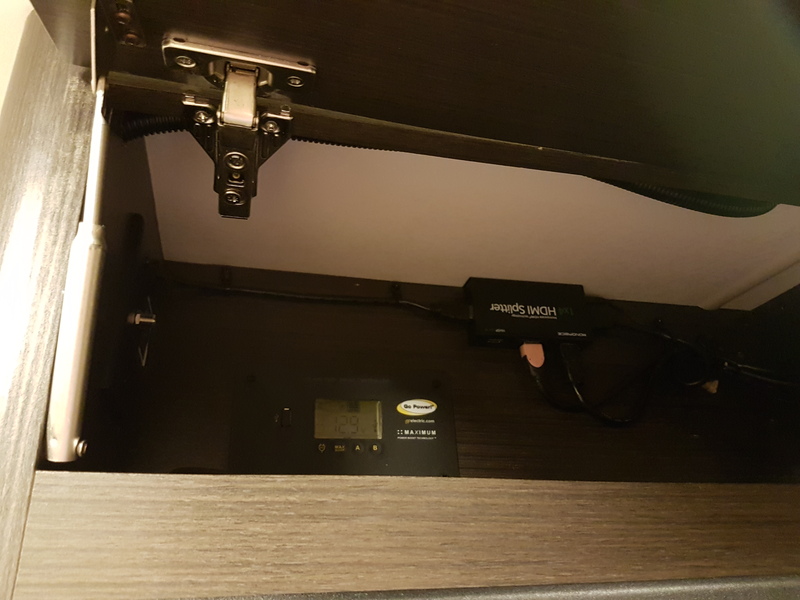 Well, Fraserway RV installed the controller above the fridge, inside a small compartment where I need a stool and flashlight to see and push the button. Thanks. Walk-through for warranty service schedule for 7 PM… but no one knew. We coordinated a walk-through as part of dropping the Thor Gemini 23 off for its warranty service; to get all the things fixed that should have been fixed before taking possession. I’m happy we showed up at 6:50 PM because no-one knew about the appointment, and the service department was closed already. Thankfully Steve, one of the sales managers, jumped on the issue and saved the day. Thanks, Steve! Just there is no confusion, we got the appointment confirmation from Fraserway RV via email (September 21, 2016 at 4:32 PM). This email is to confirm your drop-off service appointment on 09/26/16 at 07:00pm. 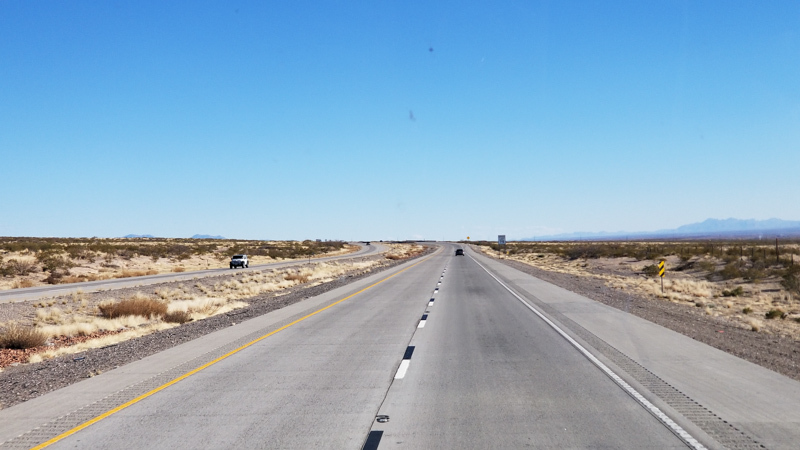 This allotted 1/2 hour appointment is scheduled solely with a service writer to check in your unit, address your concerns and write up a work order to have your unit serviced by an RV Technician. Thanks for all the tips. Those most certainly help me and hopefully they will help others as well. We’re just waiting on an ABS Module and Body Control Unit from Ford before we can continue our adventure. Ok this sounds like a total nightmare and I don’t know how you are staying optimistic about all the defects. 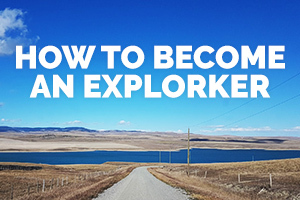 I am a total motorhome novice and not tech savvy at all…. at this point I think I will stay one. We really enjoy being out with the motorhome. Thank you so much for your detailed posting. My husband and I recently purchased a slightly used Thor Compass, and we too were told that the generator ran on the deisel fuel only to find out…No, it doesn’t. So, thank you for posting and I wouldn’t blame your RV dealer for the incorrect info. I blame Thor for not getting comprehensive info to the dealers. PS- wehad the bed lifters replaced and they are much stronger, keeping the bed from falling forward at hard stops. Great idea on the bed lifters! If it were only the diesel issue that went wrong in the whole thing, we wouldn’t blame the dealer. But it went way way way beyond for us. Enjoy your Compass! Just curious. 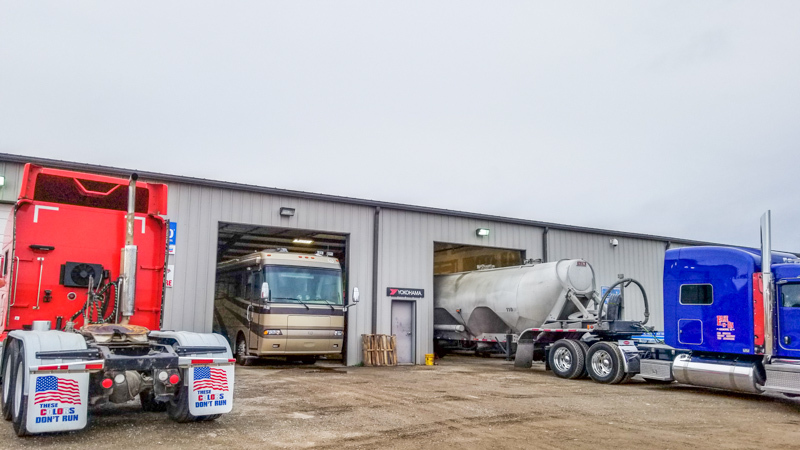 With all the problems you are having with your Thor RV, why don’t you take it to the Thor company in Elkhart, IN and have them repair the defects? We had similar problems and even more with a Lexington 255 made by Forest River, bought new from City Caravan in Laval, Qué. 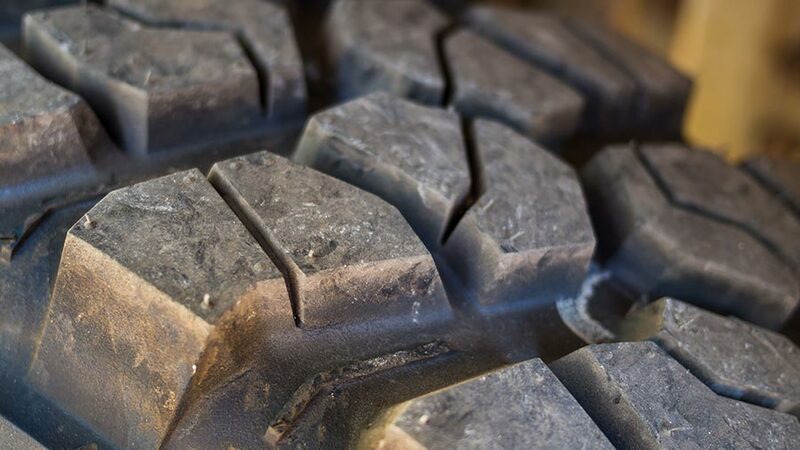 Loose parts, broken parts, water infiltrations in slide-out, absolutely no dealer service. Had to pay for repairs that should have been covered by warranty,I even called the maker, discussed with a vice-president at Customer Service who said he didn’t care and that I would never get a penny from them. No Ford issues, only problems with the unit itself. Finally,after only 18,000km.,sold the motorhome and lost $30,000. So, never again Forest River as I had a Flagstaff camping trailer previously ,also full of unusual problems and that cost me many thousands $$$ of repairs before reselling it with a warranty !